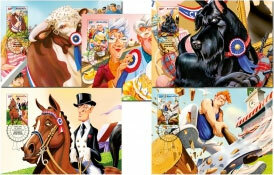 Celebrating Australia's agricultural shows, Come to Show shows various scenes in a cartoon style aimed at children. The first agricultural show was held in Hobart in 1822, followed by New South Wales (also in 1822), Perth in 1829, Adelaide in 1839 and Victoria in 1840. 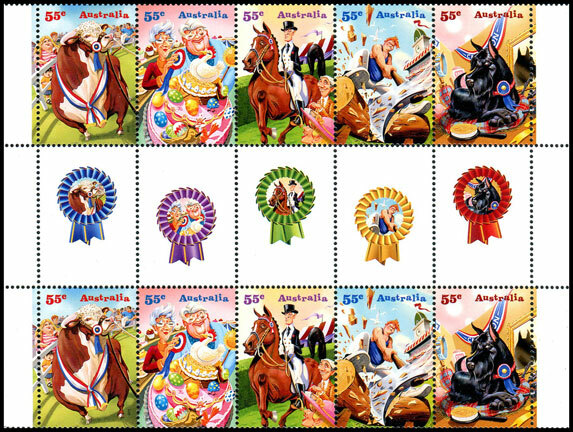 The five designs are issued in a variety of formats - sheets, miniature sheets, booklets and prestige booklets. 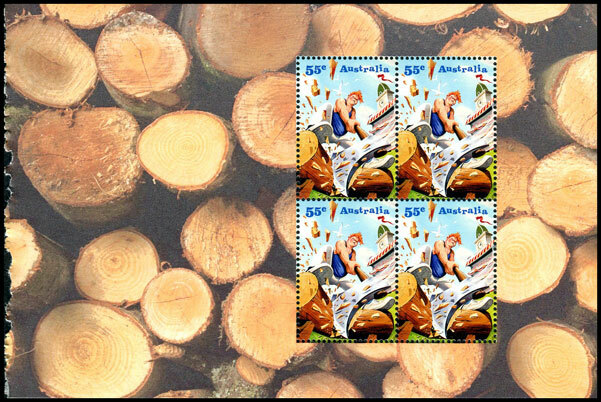 The five gummed stamps are issued in se-tenant strips of five within sheets of 50 and miniature sheets. The gutter strip features rosettes, each with part of one of the stamp designs. 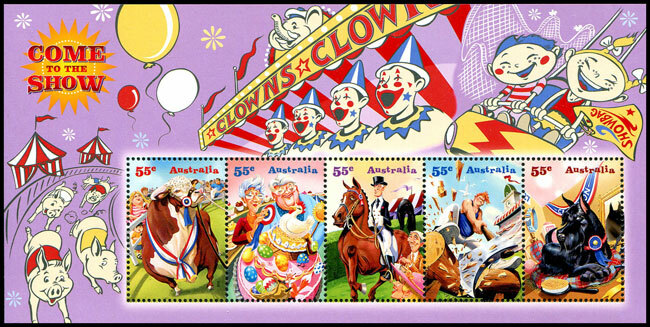 Accompanying the sheet stamps is a miniature sheet featuring pig races, carnival rides and clowns in the selvedge. 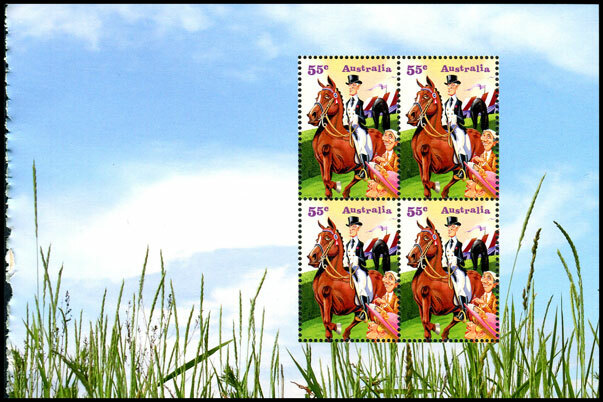 The miniature sheet stamps are identical to the sheet stamps. 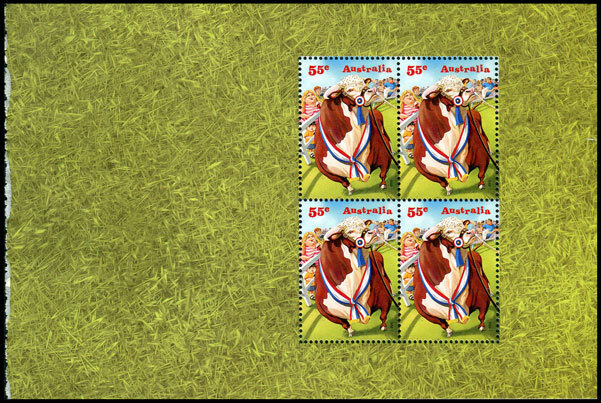 The prestige booklet accompanying this issue contained each stamp in a block of four. The prestige booklet stamps are the same as the sheet stamps. Unusually the last pane has a page number, whereas the others don't! 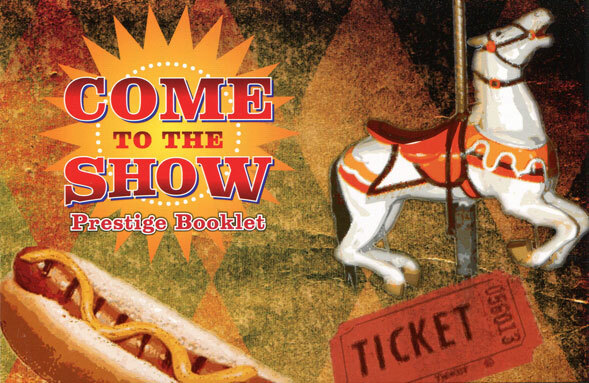 The prestige booklet contained the above five panes of four. 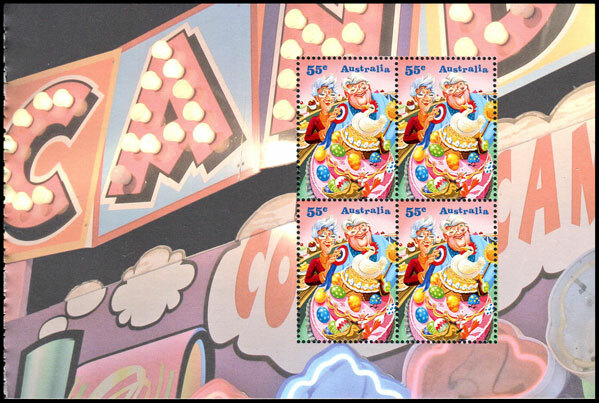 The five designs will also be released in a self-adhesive booklet of ten stamps. Booklets are distributed to post offices in chequebooks of 20 booklets. These are not listed on this website. 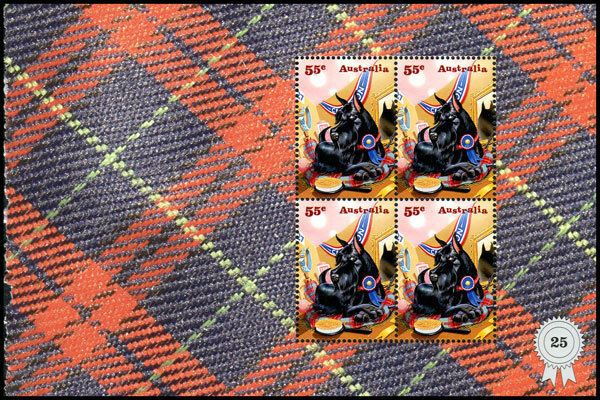 Five maximum cards accompany this issue, each showing an enlarged image of the attached stamp.